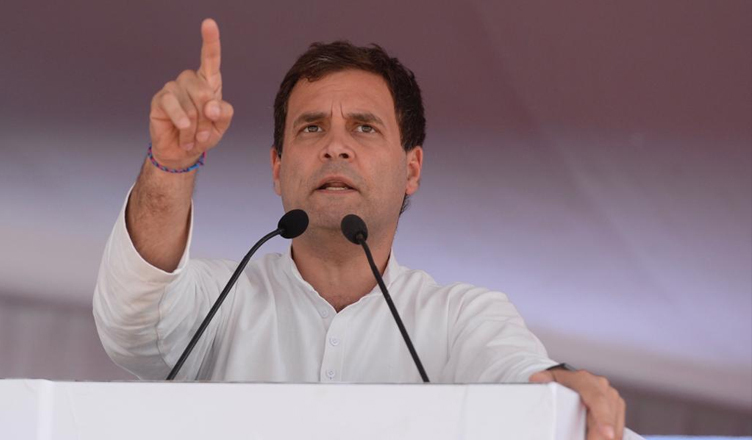 While addressing ‘Parivartana rally’ in Karnataka’s Kalaburgi, Congress President Rahul Gandhi on Monday said that the grand old party and Janata Dal (Secular) (JD(S)) will fight the upcoming Lok Sabha elections with unity. “We have formed a coalition government in Karnataka. Congress and JD(S) will fight with unity,” Gandhi said. Taking a jibe at Prime Minister Narendra Modi’s ‘Mai bhi Chowkidar’ campaign which backfired within 2-3 hours of launching it, the Congress chief said that PM Modi, in 2014, told the the people of India to make him ‘Chowkidar’, but in last 5 years, he has only protected the interests of people like Anil Ambani. “Since ‘Chowkidar’ got caught in his theft in Rafale deal, he is now trying to turn all the people of country into ‘Chowkidar’,” he said. Rahul Gandhi said that on one hand, it is his party which fulfilled what it promised and on the other hand, it is PM Modi, who has failed in fulfilling the promises he had made. “Mr. Modi promised ₹15 lakh in every bank account, but failed in his fulfilling it. We promised farm loan waiver and Art 371(j), and we fulfilled it. Under Article 371(j), in last 5 years, 30,000 youth are employed. We always fulfill our promises. Mr. Modi promised 2 crore jobs every year, but failed to deliver on it. Unemployment is highest in country today,” he said. The Congress Chief further said that PM Modi’s aim is to end the ideals of the constitution but the Congress party will never let him do that. “Wherever Mr. Modi goes, he spreads hatred and communal disharmony. Dalits are beaten and exploited. His main goal is to end the ideals of the constitution. We will never let him do that,” Gandhi said. Later in the day, Gandhi will interact with entrepreneurs in Bengaluru.